Purdue Dining & Culinary coordinates with several different classes throughout the academic year. Food Science 443 students, as part of their senior capstone project, developed a new snack item in conjunction with the Central Production Kitchen. Industrial Engineering 431 groups have worked in many locations to improve line queueing, production processes, and design layouts. Mechanical Engineering 463 students have converted discarded fruit and vegetable peels, egg shells, and coffee grounds from the dining courts into energy sources. 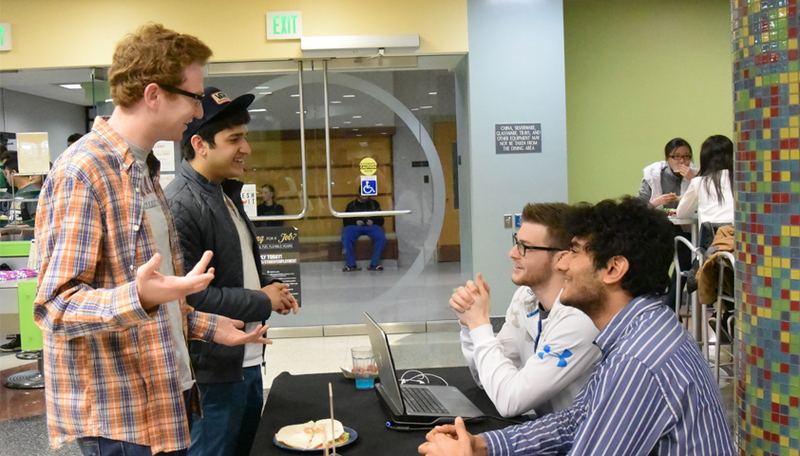 Dining & Culinary has also worked with students in Industrial Engineering 386, Communication 114, Civil Engineering 398, English 106, Management 361, and the Krannert MBA program. Dining & Culinary is willing to work with any student groups on projects. For more information email Mary Jo Zeiser, Student Success Manager, at mjzeiser@purdue.edu.